Raising the Graduation Rate Starts by Counting Every Student. In this report, we provide evidence that some school districts are not telling the truth about their graduation rate. 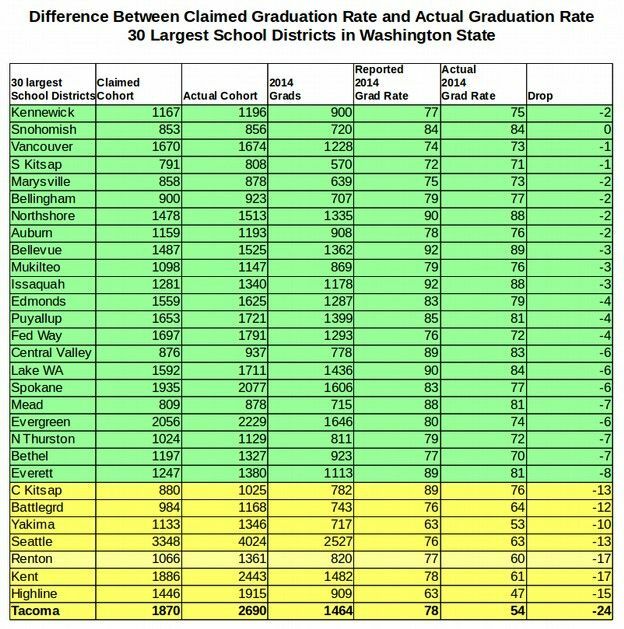 They are misleading the public with exaggerated claims of amazing increases in the graduation rate when the evidence shows that there has been no dramatic increase in the graduation rate either of individual school districts or Washington state as a whole. Instead, some school districts have artificially increased their graduation rate by taking advantage of a loophole in the graduation rate formula that allows them to not include struggling students in their school district. We propose that this loophole be closed and that OSPI and school districts count every student to determine the true high school graduation rate in each school district. 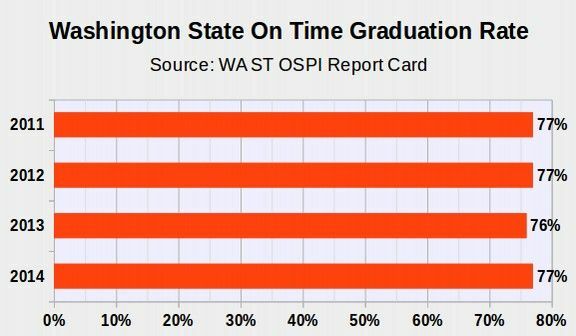 The lack of progress in improving the graduation rate in Washington state is understandable given that our state legislature has gutted funding for public schools during the past 20 years in order to give billions in tax breaks to Boeing, Microsoft and other wealthy multinational corporations. The low graduation rate in Washington state is not the fault of students, teachers, parents, schools or school districts. It is the fault of a state legislature that is so corrupt that it is essentially owned by wealthy multinational corporations and cares more about giving tax breaks to the rich than funding our public schools. 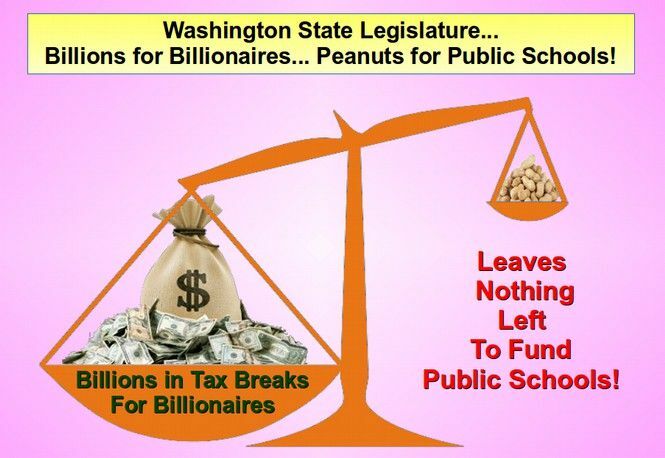 As a result of massive tax breaks to wealthy corporations, Washington state now has among the lowest school funding in the nation as a percent of income and among the highest class sizes in the nation. 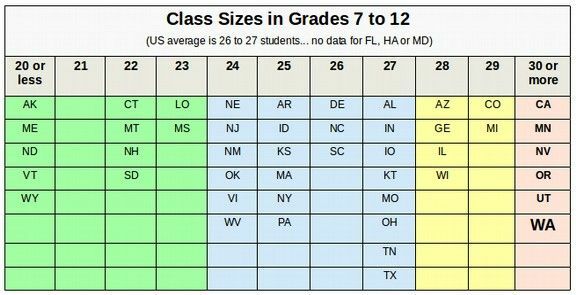 For Grades 1 through 6, the national average class size is 21 students and the average class size in Washington state is 24 students. It is impossible to increase the graduation rate when class sizes are so large that struggling students do not get the help they need to complete their courses. This is why the Washington State Supreme Court has ruled that the State legislature is in “contempt of court.” It is contrary to our state constitution for the legislature to rob billions of dollars from our public schools in order to line the pockets of the corporations and billionaires that paid for their elections. Despite the fact that the graduation rate in our state has not improved in several years, some school district administrators in Washington state have recently claimed that they have miraculously raised the graduation rate in their school district. Sadly, while it would be wonderful if more students were graduating from the Tacoma School district, OSPI actual enrollment and graduation reports show that there has been no increase in the graduation rate in the Tacoma school district! Instead, like several other school districts (but not all school districts), the Tacoma School District has used a series of reporting scams to hide struggling students from their OSPI Graduation reports in order to artificially inflate the graduation rate in their school district. Because the Devil is in the Details, let's look more closely at how these cheating school districts are misleading the public. The on time graduation rate should be simple to determine. Just take the number of graduates in any given year and divide it by the number of 9th graders who started high school 4 years earlier. The latest graduating class analysis posted at OSPI is for the Class of 2014 so we will use that class for our analysis. The graduating class of 2014 were Seniors in the fall of 2013, Juniors in the fall of 2012, Sophomores in the fall of 2011 and 9th graders in the fall of 2010. We noted above that the OSPI Statewide Report Card for the past 4 years shows an on time graduation rate of about 77%. However, these graduation rates were based on an average claimed 9th grade cohort of about 79,000 students. The actual 9th grade cohort as averages about 86,000 students meaning that about 7,000 students per year or almost one in ten high school students has somehow been "hidden" and is not being reported! How are these 7,000 students per year being hidden and not counted? To see how this is done, we will look at a series of school districts beginning with the worst student hiding school district - the Tacoma School District. The Tacoma school district website enrollment for October 2010 listed 2,678 9th graders in October 2010 for a difference of only 31 students. In June 2014, according to the OSPI latest report, 1,464 students graduated from the Tacoma School District. This makes the on time graduation rate in the Tacoma School District 1464 graduates /2707 9th graders = 54%. Using the school district enrollment of 2,678, the graduation rate was 1464/2678 = 55%. In other words, the actual graduation rate in the Tacoma School District in 2014 was only 54% to 55% - the same as it was in 2010! Note that the Tacoma School District administrators claim that only 1887 students began the 9th grade in the Tacoma School District in 2010! This is over 800 students less than were listed on the 9th grade OSPI attendance report in October 2011. After adjusting for 17 more transfer outs versus transfer ins and the adjusted claimed 9th grade cohort dropped down to only 1870 students. 1464 students graduated and thus the claimed graduation rate was 1464/1870 = 78%. Sadly, the Tacoma School District is not the only school district using this reporting scam to artificially inflate their graduation rates. Seven of the 20 largest school districts under reported the number of 9th graders on the 2013-2014 OSPI graduation report by more than 10% of the actual total. The least honest school district was Tacoma which under reported the number of 9th graders by 27%. The next least honest was Kent at 24%. Seattle and Renton tied for third least honest at 18%. Below is a comparison of the 30 largest school districts of number 9th graders on OSPI report for 2010 versus 2014 graduation report. Sources: Actual 9th Graders from OSPI Report 1251 (2011). Rest of data from OSPI Graduation Report 2013 2014 Appendix C. Pasco and Richland excluded due to reporting errors. On a positive note, 80% of the 40 largest school districts reported close to their actual number of 9th graders. Now that we understand that only some school districts are hiding students, we will take a closer look at how this struggling student shell game works. In conversations with OSPI administrators about this problem, they dismissed it by claiming that the Tacoma School District simply had a "high mobility rate." The problem with this claim is that the 2014 OSPI Graduation Report confirms that the Tacoma School District only had 17 more students transfer out than transfer in. So mobility only accounts for 17 students out of the missing 722 students. Where did the other 700 Tacoma School District 9th graders go? "Actual Adjusted 4-Year (On-Time) Cohort Graduation Rate (Class of 2013) – The total number of students identified in grade 9 as belonging to the Class of 2013 (during the 2009-10 school year) who are reported as graduates, divided by the total number of students identified as the Class of 2013, during the 2012-13 school year. Students who enrolled at any time prior to the end of the 2012-13 school year, identified as belonging to the Class of 2013, are included in the calculations. Students identified as belonging to the Class of 2013 who have exited with a confirmed transfer... are removed from the calculations. " The loophole is "exited with a confirmed transfer." What it really should say is "confirmed to have moved out of the school district." Otherwise transfers can and do occur to ALE programs even when the student remains in the school district. "As defined in 34 C.F.R. §200.19(b)(1)(i)-(iv), the four-year adjusted cohort graduation rate (hereafter referred to as “the four-year graduation rate”) is the number of students who graduate in four years with a regular high school diploma divided by the number of students who form the adjusted cohort for the graduating class. From the beginning of 9th grade, students who are entering that grade for the first time form a cohort that is subsequently “adjusted” by adding any students who transfer into the cohort later during the 9th grade and the next three years and subtracting any students who transfer out, emigrate to another country, or die during that same period." More information about the actual adjusted cohort calculations can be found at https://www2.ed.gov/policy/elsec/guid/hsgrguidance.pdf. The above report goes on to explain that the graduation rate must include ALL students in the 9th grade cohort, even including special education students. See the difference? Federal law refers to transfers as in students transferring out of the school district or out of the state while OSPI merely refers to "exited with a confirmed transfer" which OSPI and the Tacoma School District have interpreted to mean transferring to an ALE program in another school district even if the student continues to legally reside in the same school. Federal law is not written in terms of school districts but simply in terms of "schools." One might therefore argue that when a student changes from the Tacoma School District to the K12 INC program in the Quilcene School District that they are no longer in the Tacoma School District and should be counted against the graduation rate in the Quilcene School District. In fact, such students are not counted in the Graduation Rate for either school district. Also in fact, the students still live legally in the Tacoma School District. Even the K12 INC head office is in the Tacoma School District. The intent of the federal law was a complete and accurate accounting of all students. Therefore the OSPI interpretation and the loophole it creates are something being done by OSPI not by any federal regulation. The above report makes it clear that every student should be counted. 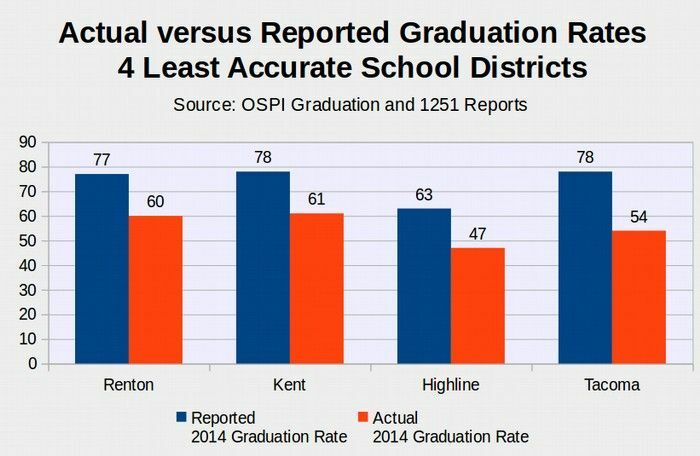 Washington law reports graduation rates by school district. Every student in every school district should be accurately counted in terms of where they actually live. What about the section of federal law that allows for transfers to include transfers to "other programs?" The above report explains that students may be considered to have transferred out (of the school or school district) if the student transfers to a private school or a home school program or to "other educational programs" that lead to a high school diploma. But the report also makes clear that the state record keeping must be complete and accurate. It is not appropriate for OSPI to create a black hole where 7,000 students per year are simply not counted in order to artificially increase the graduation rate in a particular school district or the state as a whole. OSPI record keeping is neither complete or accurate. There have been several red flags ignored by OSPI. Here are a couple. There are a series of "red flags" that should have been a clue to OSPI that some sort of scam was occurring in the Tacoma School district. For example, some school districts such as the Tacoma School District have substantially fewer students in each grade in high school than they do in middle school or elementary school. This should not be the case and questions need to be asked but were not about where all of these students went. Another major red flag is a decline in the school district high school enrollment over time. The total enrollment of students in Washington state is going up slightly over time. So one has to ask why the enrollment would decline in any given school district. 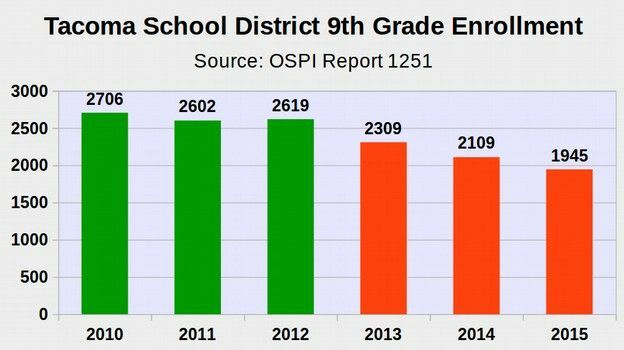 Below is the number of 9th graders in the Tacoma School District from 2010 to 2015 October enrollments per OSPI Report 1251. Something major happened in the Tacoma School District between 2012 and 2013 because there has been a huge unexplained decline in high school enrollment of about 700 students per grade since 2012. Where did these 700 students per year go? Starting Up Special Programs to use as Dumping Grounds for Struggling Kids? Some claim that special programs such as the Willie Stewart Academy, which opened during the 2013-14 school year, artificially pump up graduation rates by moving some of Tacoma’s most struggling students out of mainstream schools into programs not counted by OSPI. Willie Stewart Academy has a total of about 200 students. To better evaluate this claim, go to the OSPI report card and select the Tacoma School District. Then select the Willie Stewart Academy. You will see that it was closed on July 31 2015. Before that, it has an enrollment of 200 students and a graduation rate of 2 percent. No wonder it was closed. Tacoma also has the Fresh Start program with 200 students and a graduation rate of 15%. They also had a GED program which closed in July of 2015 which had 42 students but did not appear to have any graduates. There is also Oakland high school with 200 students and a graduation rate of 15%. So there appears to be several programs that are used as dumping grounds for struggling students in Tacoma. It is not clear how many of these programs are counted in Tacoma's graduation rate. Not only has the state legislature refused to fully fund our public schools, but they have been quietly increase the graduation requirements during the past several years. First, they have increased the number of credits needed to graduate from 19 credits to 24 credits. This means that in many school district, any student who fails even a single class during their four years of high school will not be able to graduate. Second, some requirements have been raised dramatically. Some students will be required to take four years of advanced math courses to graduate. Third, the new SBAC tests are extremely unfair with only 20% to 30% of students able to pass these tests that will be required for graduation beginning with the class of 2017. As many as 50,000 students per year may be denied a high school diploma simply because they failed one of these tests that are so difficult that few members of the state legislature could even pass them. What is the solution to the Struggling Student Shell Game? I have proposed a bill that would continue to count every student in every school district as being part of the grade cohort for that school district unless and until the student physically moves out of the school district and into another school district. We will keep you posted as to whether this bill actually gets a hearing. AN ACT Relating to improving the completeness and accuracy of graduation rate reports; amending RCW 28A.175.010; and creating new sections. (a) There is a loophole in current Washington State law that results in thousands of students not being counted in the graduation rates of schools and school districts after having transferred to "Alternative Learning Experiences" even though these students still reside in the school district which no longer counts them. (b) These students also might not be counted by the receiving school district. (c) Many of the Alternative Learning Experience programs have an extremely low graduation rate... a rate that is often only half of the state average graduation rate. (d) Parents and concerned citizens are mis-informed by not being provided with an accurate and complete graduation rate for their school district. (e) Parents and concerned citizens are also mis-informed by not being provided with an accurate and complete graduation rate for alternative learning experiences. (f) Schools and school districts currently have an incentive to push struggling students into alternative learning experiences in order to artificially inflate their published graduation rates. (g) The legislature therefore intends to provide clarifying language to make it clear that every school district must count every student and to remove the incentive for school districts to dump struggling students into alternative learning experience programs. (5) The superintendent of public instruction shall adopt rules under chapter 34.05 RCW to assure uniformity in the information districts are required to report under subsections (1) through (4) of this section. In developing rules, the superintendent of public instruction shall consult with school districts, including administrative and counseling personnel, with regard to the methods through which information is to be collected and reported in a manner which is complete, accurate and accounts for each and every student. What is clear is from this report is that there is no turn around miracle going on in the Tacoma School District or any other school district in Washington state. 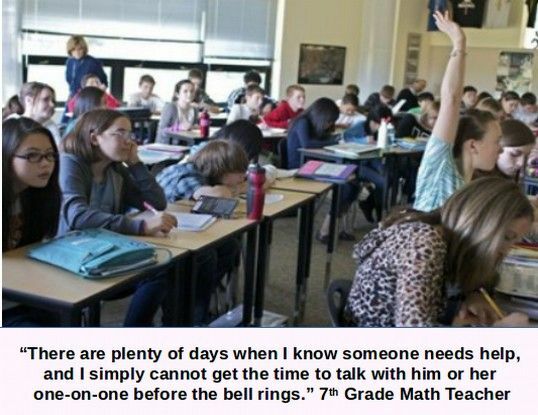 Students need more than pep talks and toxic high stakes tests. Struggling students need small class sizes beginning in the early grades so that they can get the help they need from experienced teachers. It would take more than $3 billion per year in additional state funding just to lower class sizes in Washington state back down to the national average. The only bill that has been introduced into the legislature that would provide this $3 billion per year is Senate Bill 6093 – which would repeal a tax break used by billionaires to avoid paying their fair share of state taxes. So far, this bill has not even gotten a hearing. 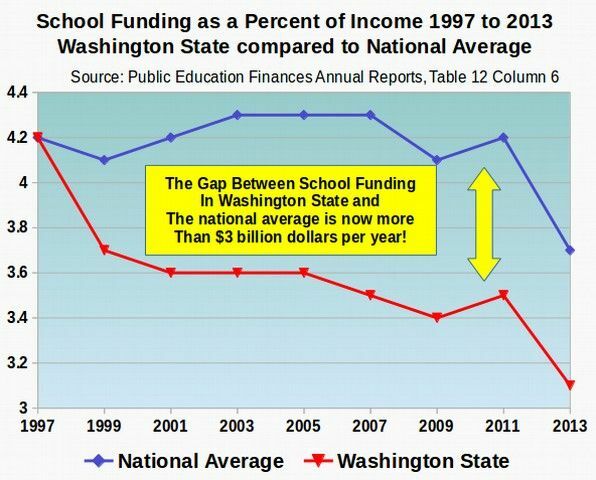 So what is the solution to the lack of school funding in Washington state? We cannot solve the school funding problem by constantly re-electing the same corrupt people who created the problem. 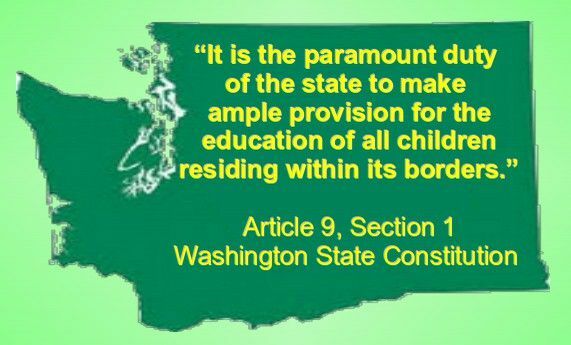 It will either take more action by the Supreme Court or it will take parents and teachers willing to run for office and replace the current batch of people in Olympia with a different group of people that will actually take their paramount duty to fund the public schools seriously. Only then will we see a real reduction in class sizes and a real increase in the high school graduation rate here in Washington state. Coalition to Protect our Public Schools (dot) org.